This is one of the amazing products I offer in my store. It comes in a 1 oz. bottle with dropper. This natural oil comes from the tree of life. Use this nightly around the eyes, on dark spots or any scars. This is a natural oil that promotes healing. Just a drop will change the way your skin feels and looks. 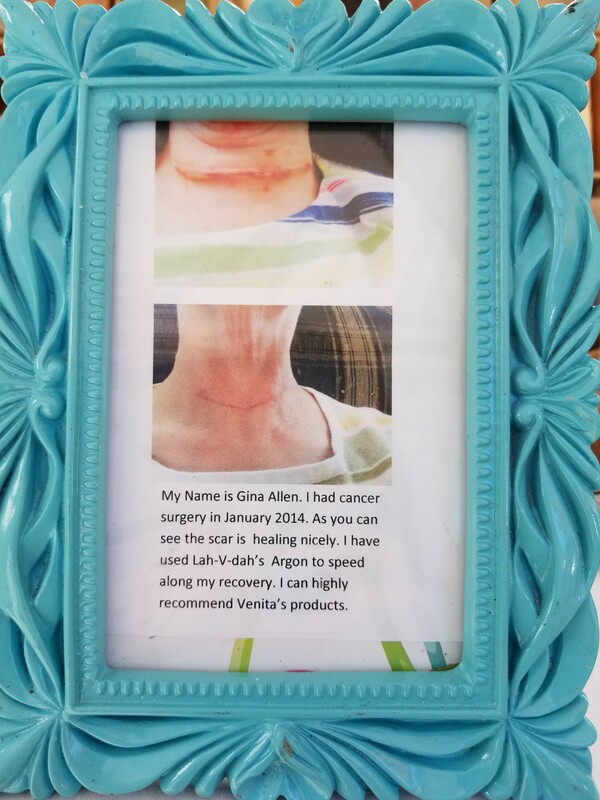 See customer reviews below for scar tissue repair & healing results. These are oils used for facial moisturizing or healing. This natural oil comes from the tree of life. 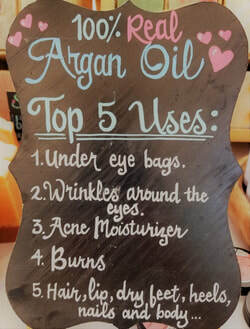 It is the only oil that does not clog the pores. Great for under eye bags, age spots, burns & scars. The best moisturizing oil for your skin. 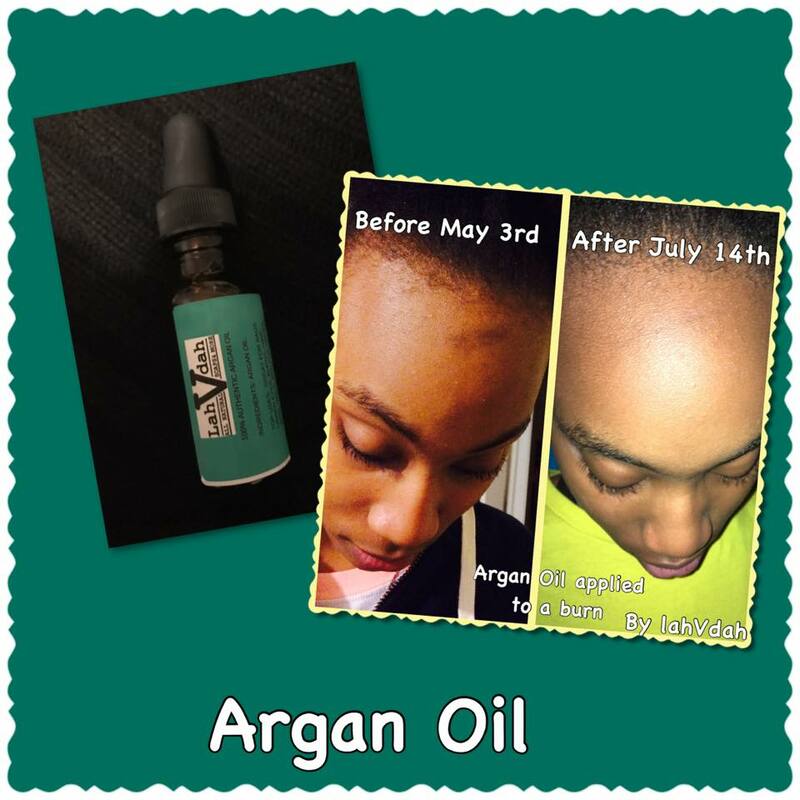 ​($30) 100% Authenic Argan Oil - This natural oil comes from the tree of life does not clog the skinspores. Great for under eye bags, age spots, burns & scars. The best moisturizing oil for your skin. ​Step 2 of your facial care regimen. Facial Toner removes oil and traces of dirt and grime from the skin. ​Spritz 2-4 times and remove with a cotton ball or pad. This helps to remove excess dirt and makeup and close the skin's pores before applying moisturizer. Anti-Aging Toner - A toner formulated to lock in moisture, firm & tone the skin. Zit Zap Toner is an all natural toner spray containing tea tree oil and Vitamin E used for face or body acne to promote healing. If allergy to tree nut DO NOT USE. Rosewater Toner can be used sparingly to freshen up or set makeup giving the skin a healthy glow or dewy finish. Used to reduce redness and good for acne, dermatitis and eczema. Frankincense Rejuvenating Toner​ renews and rejuvenates skin cells, tones & lifts skin, reduces scars and promotes healing and helps to reduce the appearance of blemishes, sun or age spots. Watch "V" as she begins to prepare for her 30 day challenge in 2018! This video posted on 12/30/17, shows Venita and one of her nightly routines using a moisturizing face wash, facial mask, teeth whitening and face moisturizing cream. All are available in the E-Store.